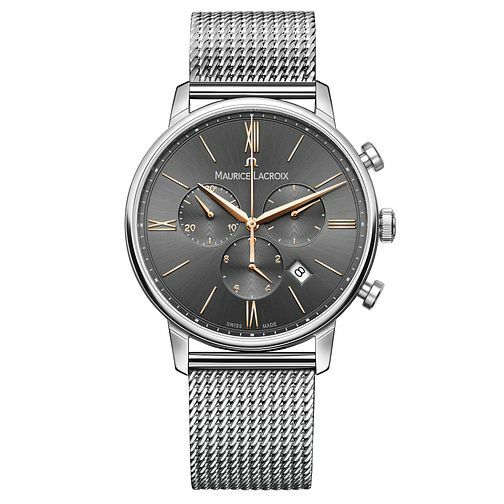 Sleek and sophisticated, this men's watch boasts the signature elegance of Maurice Lacroix. Crafted in stainless steel with a stylish mesh bracelet, the black sunbrushed chronograph dial is simply finished with classic rose gold tone Roman numerals. Powered by precision, Swiss quartz movement, this watch offers high quality design and functioning.